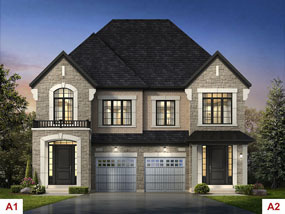 Elevation A1 | 1750 sq. ft.
Elevation B1 | 1830 sq. ft.
Elevation A1 | 1825 sq. ft.
Elevation B1 | 1630/1640 sq. ft. 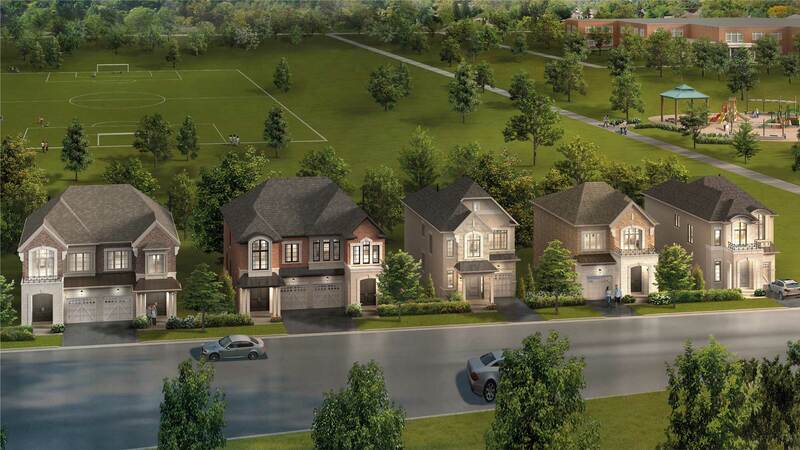 Origins offers a superb collection of Semi Detached Homes on 25’ lots, ideal for young and growing families. 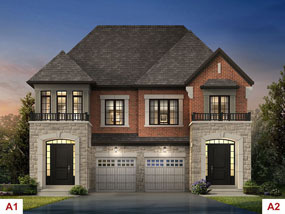 The 2-storey homes come with a single car garage and impressive architectural details including brick and stone accents, covered porches, arched windows and more. 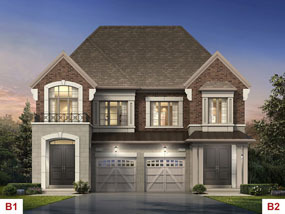 Available in 1750 sq.ft and 1825 sq.ft. 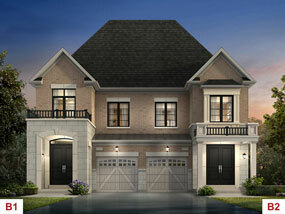 areas, the homes come with 4 spacious bedrooms and 2.5 bathrooms.